A spotlight on how manufacturing capabilities must keep pace with innovation, in order for essential therapies to reach more patients. Advances in oncology development this year, including how Pfizer addresses therapy-resistant cancer so that no cancer patient is left behind. A new initiative aimed at improving the health of African Americans, a group usually impacted disproportionally by diseases. Innovative global initiatives focused on improving health in low and middle-income countries around the world, specifically through volunteering and grants programs. 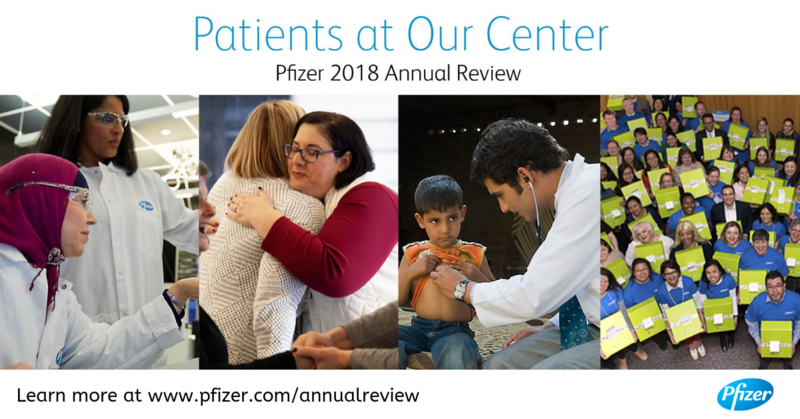 Find out more about the ways that our colleagues put Patients at Our Center in the work they do every day at www.pfizer.com/annual.